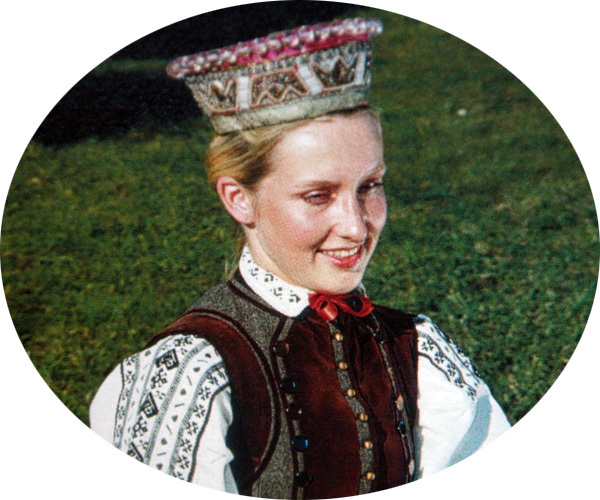 This type of crown or wreath (the Latvian vainags) pertains to the southwestern part of Latvia (Nitsa, Barta, and Kurzeme). It features large glass ornaments, rich embroidery, abundance of bugle and gold ornaments. 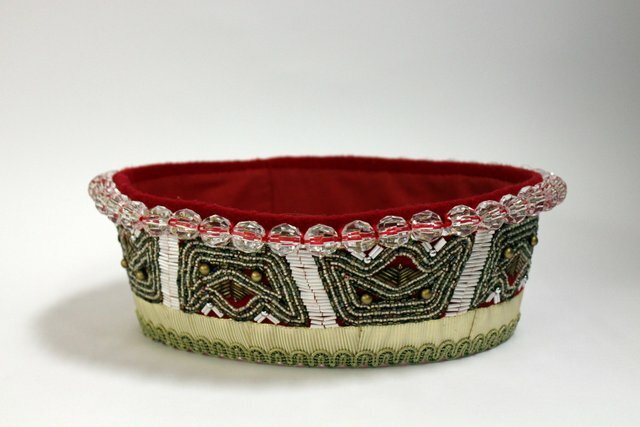 Such headdresses were made ​​in Latvia in the mid 20th century, so that the tradition of their production has not had the time to terminate altogether. Naturally, only unmarried girls had the right to wear the vainags, as the married women were strictly forbidden to reveal hair in public.